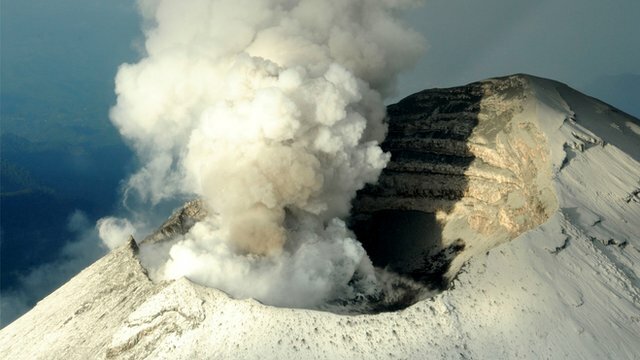 Volcano covers Japanese city in ash Jump to media player A clean-up operation has begun in Japan after an eruption at a volcano covered an entire city with ash. 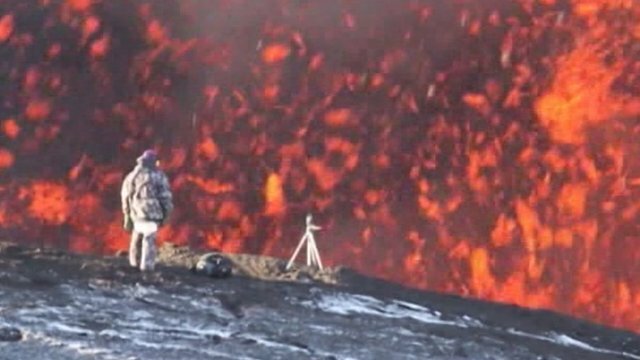 Spectacular scenes at Russian volcano Jump to media player Gas and ashes have risen almost 2.5 miles (4km) into the sky during the ongoing eruption of a volcano on the Kamchatka Peninsula in Russia. Mexico volcano seen from the air Jump to media player Mexico's erupting Popocatepetl volcano, just east of Mexico City, has continued to spew large clouds of ash and vapour into the sky. 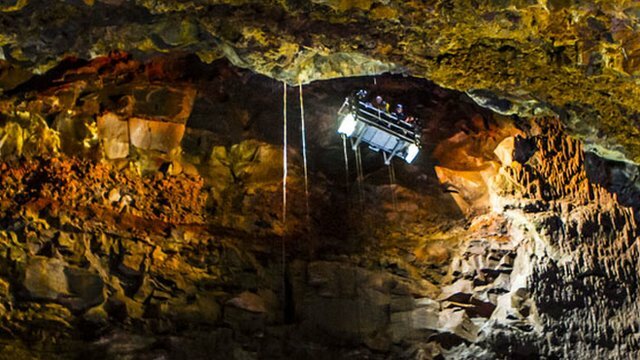 Journey into an Icelandic volcano Jump to media player Dr Freysteinn Sigmundsson shows the BBC's Neil Bowdler around the Thrihnukagigur volcano in Iceland. Huge ash clouds as Etna erupts Jump to media player Europe's most famous active volcano Mount Etna has been erupting, sending plumes of ash into the air. 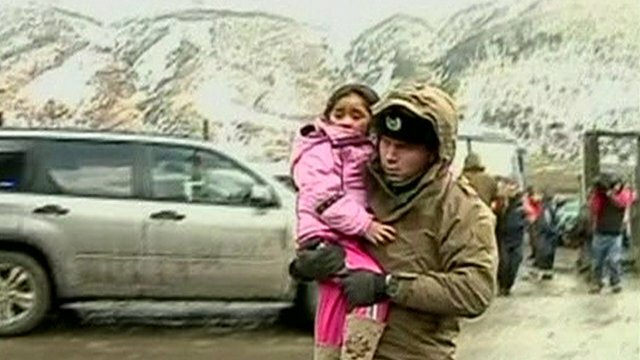 Evacuations after volcano alert Jump to media player Officials in Chile and Argentina have ordered the evacuation of areas near the Copahue volcano following a red alert warning of a very high chance of an imminent eruption. 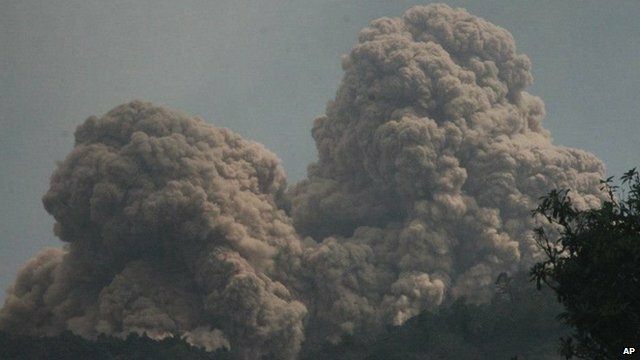 A clean-up operation has begun in Japan after an eruption at a volcano covered an entire city with ash. 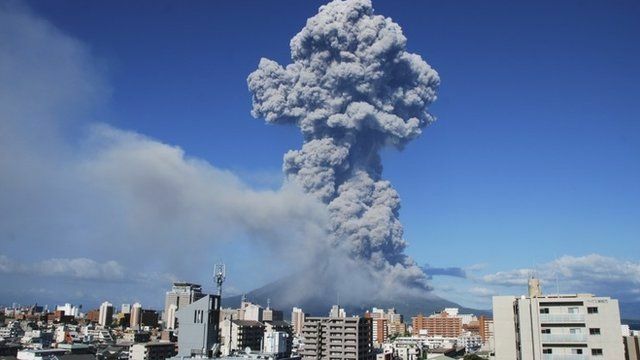 Footage shows Mount Sakurajima spewing the dark plume 5,000m into the air. 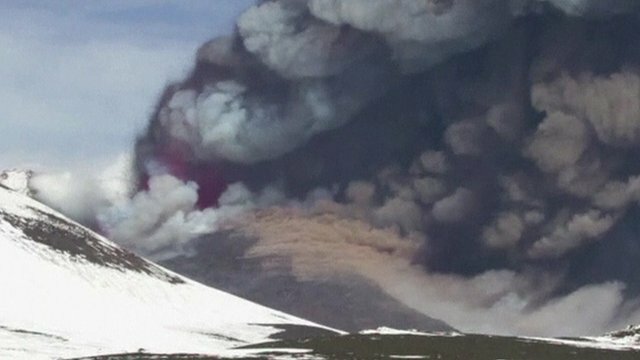 It is the 500th eruption this year. Residents of the nearby Kagoshima city used masks and umbrellas to protect themselves, as ash fell from the sky onto the streets below.